Wilhelm Foundation now offers different kinds to choose from; or why not have one of each? This beaded necklace is made from small green pearls along with black colored pearls with white letters in the middle. The standard size is 18 cm. 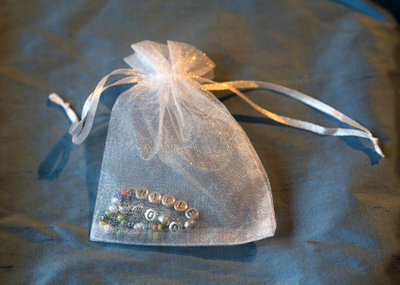 The bracelet will be delivered in a small organza bag, which makes it a perfect present for yourself or a friend! 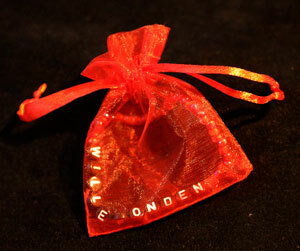 The organza bag comes in several colors. The brilliant idea of selling Wilhelm Foundation bracelets came from Leon's mother. Leo has an undiagnosed brain disease and his mother wanted to help the foundation, and so she came up with the idea to create bracelets. The bracelets have been a huge success and we now have several volunteers who help Wilhelm Foundation create them! A big thank you to Leon's mother for this great idea and all the bracelets you have made, and also a big thank you to all volunteers who help the Wilhelm Foundation! Wilhelm Foundation's most hardworking bracelet volunteer is Erika Halme. Erika also sells bracelet in her neighborhood, Linköping. A big thank you for everything - you are a real gem! 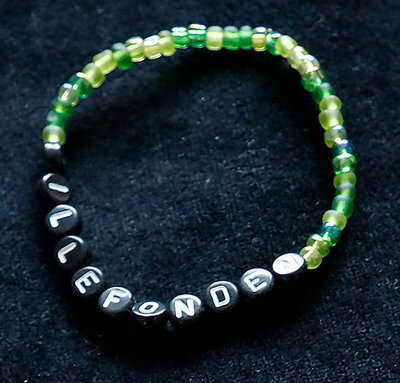 The bracelets are available with the text “Wilhelm Foundation” or “Willefonden”. If nothing else is specified the writing will be in English (Wilhelm Foundation) for orders outside of Sweden, since that is what we call the foundation in English. In Sweden we call it Willefonden. Important! 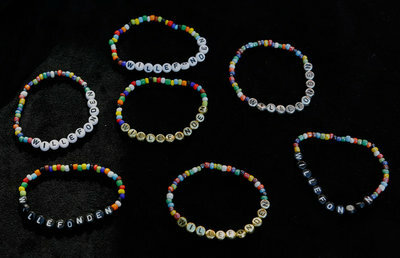 Don't forget to inform us if you want a different language on your bracelet. 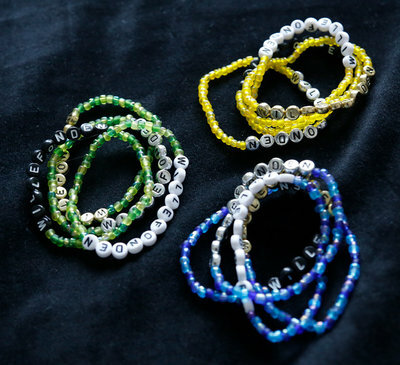 The bracelets are handmade by our volunteers, which is why the only cost is for material and shipping. Rundis.se provides a generous discount for Wilhelm Foundation in order to help children with undiagnosed brain diseases. A warm thank you to Rundis!